Heavy Duty Red Tarpaulins | machinery, roofs, industrial purposes. 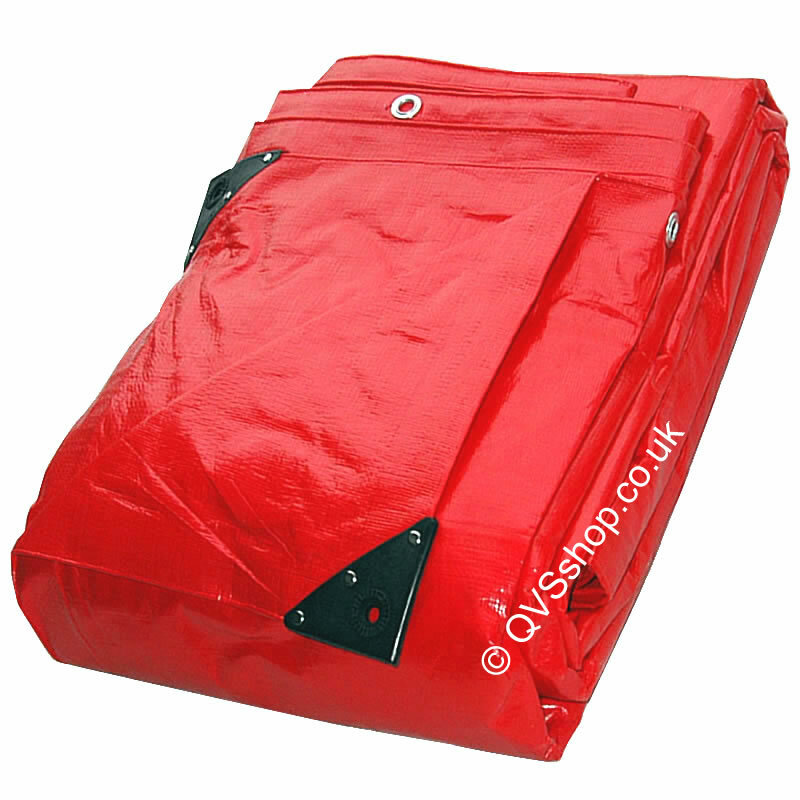 The heavy duty red tarpaulin can be used for many different purposes such as a roofing cover, groundsheet and protection for logs or building materials. Additionally it is ideal for areas that have potential dangers such as construction sites due to the bright colour of the sheeting. The tarpaulin can also be used as a temporary wall or wind barrier around an area that needs protection from harsh conditions. With a weight of 200gsm, this is a tough tarp which can be used for professional purposes as well as within the home or garden. Being flexible and easy to handle it is also stress-free to transport and utilise. The sheeting is waterproof, rotproof and has been UV treated on both sides producing a hardy cover that is suitable for all types of weather conditions and climates. This extra strong tarp has a closer weave of polyethylene than standard covers, producing a more resilient and reliable product. Additionally each corner is reinforced with thick plastic decreasing the risk of damage to the material once the product is in use and put under strain. This item has extra fixing points compared to other groundsheets with metal eyelets located at metre intervals along all four sides. Also the hems are rope reinforced and heat sealed increasing the durability around the eyelets. Eyelets every 1m and every corner. Sizes available: 1.8m x 2.4m, 1.8m x 3.8m, 2.4m x 3m, 3m x 4.2m, 3.6m x 6m, 6m x 6m, 3.6m x 15m, 7.3m x 9.2m, 12m x 12m.